At least once in your life you must have heard for sure about the Palace of Versailles, ancient seat of political power in France, where most of the French history was made. And guess what? It’s only 12 miles from Paris! Discover here how to get from Paris to Versailles. This Castle is located in the suburban city of Versailles, in Place d’Armes. It is open from Tuesday to Sunday, from 9 am to 6.30 pm. You can reach it by train, RER, bus, shuttle, car or taxi. You only have to choose which is the best solution for you to get from Paris to Versailles. Taking this suburban transit system you will have to purchase a special metro ticket (either at the vending machines or at the information points), since Versailles is located in zone 4, therefore a simple Ticket+ is not valid. If you have a day or week pass valid for zones 1 to 4, you can use it without problem. 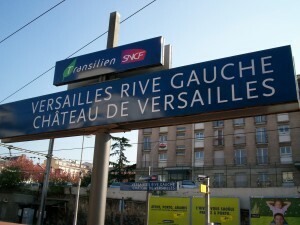 So here we go: you can take the yellow line of the RER C5 and stop at Versailles-Rive Gauche/Versailles-Château, which is 5-10 minutes’ walk to the Palace, or you can take the RER C7 and stop at Gare de Versailles-Chantiers, which is instead about 0.6 miles from the Château. 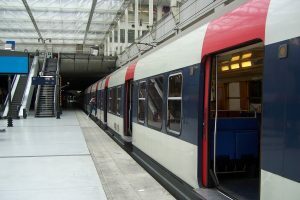 Within Paris, you can take the RER from the following stations: Javel, Pont du Garigliano, Champ de Mars, Pont de l’Alma, Invalides, Musée d’Orsay, St-Michel, Paris Austerlitz, Bibliothèque François Mitterand. Make sure you choose the right directions! 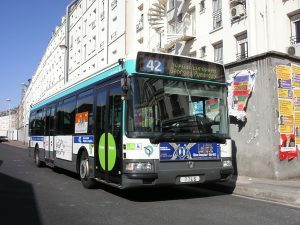 If you want to take the bus, in order to stop closer to the Palace, you can take the bus 171, which leaves from the metro stop Pont de Sèvres, on line 9, and get off at the bus stop Versailles-Place d’Armes. If you want to know in detail the timetable and the stops on this line, you can check on RATP website . If you want to get there by train, you will have to leave from the SNCF (the French national railway company) station in Montparnasse or Saint Lazare. From Paris Montparnasse you will have to get off the train in Versailles Chantiers train station, which is about 0.6 miles from the Castle, while from Paris Saint Lazare you have to stop at Versailles Rive Droit and walk to the Chateau for half a mile. 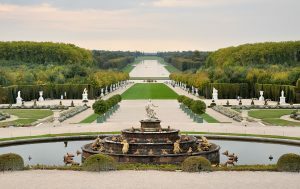 If you prefer travelling by coach, check our package Versailles Day Tour: it provides round-trip transportation from Paris to Versailles, entrance to both the gardens and the palace, fast-track tickets and audioguides. Click here to book. If you travel by car from Paris, you will have to take the A13 road, with direction E5 Rouen/Saint-Quentin-en-Yvelines/Versailles. Take the exit Versailles Château and follow the directions to the castle. There are several paid parkings close to the entrance and even inside the park! Some categories of visitors, for instance disabled people, will not have to pay. Click here to have further information about fares and reductions, and to have a complete map of all the available parkings. You don’t want to drive, but you don’t want to take the public transports either? You can call Uber from your phone app, and it will take you to the Castle in about 45 minutes for 30 up to 45 euros. Now you know all the ways to get from Paris to Versailles. What are you waiting for? Book now your trip! Want to travel outside of Paris and see more of France? There are a couple options for whether you’re going to Giverny, the Loire Valley, Versailles, or many more. First, we’ll break down the general options you have to travel outside of Paris. 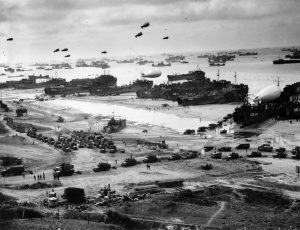 Then, we’ll tell you the best way to get to common destinations in France. You may decide to take a coach bus with around 50 other people. This option is usually the best for your budget. You can find tickets from as cheap of 20 euros depending on your destination. 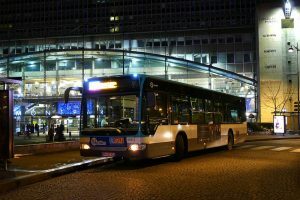 There are many companies that offer budget buses such as MegaBus, Flixbus, Eurolines, and more. Keep in mind that while the bus is cheaper it usually takes longer! If your interested in seeing if you can take a bus to your destination from Paris, we recommend that you look at GoEuro‘s website as they compare bus, train, and flight prices. The train system operated by SNCF is pretty good. For example, it can get you to Nice if you want to visit southern France or most other major cities. You can check out the official website here. You may also want to check out RailEurope.com, which also sells train tickets. They also have a MAP of the rail network in France. There are different types of trains in France including the high speed TGV and regional trains. The cost will depend on the type of train you take, when you are going, and your destination. These buses will take tourists from Paris to common destinations such as the Loire Valley and then drive them back. This option usually comes as package that includes the official guide and sometimes lunch. These will cost you upwards of 150 euros per person per day. This can be a great way to see some of the Loire Valley castles! You can hire a private driver too if you would like. This is a great way to ensure a hassle-free trip to your destination, however it will be slightly more pricey. A private driver will run you around 700 euros per day, but if you are traveling with several other individuals it may be worth it! (A touristic coach excursion for four people is already at least 600 euros). If you feel comfortable you could also rent a car to take around the French countryside. This is a great way to be flexible on your vacation if you want to switch up your plans later. This is only a good option if you feel comfortable driving out of Paris and on the right side of the road (as opposed to the left in the UK). Also keep in mind that most rental companies do not allow you to cross the borders with their cars. The best way to get to Versailles is to take the train. You can take the fast regional RER C to get there. The round trip cost is 4.10 € per person one way. Or even a touristic coach excursion. The train will be the cheapest option for you. You could check prices on Trainline’s website. Excursions to Giverny are also included in ParisByM packages. To reach Disneyland Paris you best option is to take the RER A (fast regional train). Take this red line in direction of Marne-la-Vallée-Chessy. Get off at this last station. One way ticket costs 7.60 € per person. The Loire Valley has some of the best chateaux (castles!) and some great wine tasting. If you want to check out the Loire Valley on a Paris Day Trip we recommend that you either hire a private driver OR you take a touristic coach excursion. We have some excellent packages already put together for you! OR rent a car and drive. 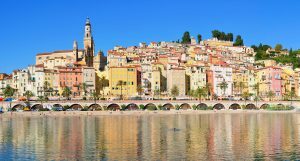 The French Riviera and the Côte d’Azur can be popular destinations as well. You can reach these fastest by train or flight and that’s probably best if you are spending a few days. You could also hire a private driver and see more of the countryside and take time to stop in some of the French provincial towns. If you want to travel to some other capitals of different European countries you should consider train or flights. Did you know you can reach London from Paris super easily with the EuroStar train? When in any big city, it’s important to know how to get around. Paris is no exception! However, with a vast array of transportation options, finding your way around the City of Light can easily become quite daunting. We recognize just how difficult this process can be and have created this guide to public transportation in Paris. Enjoy! 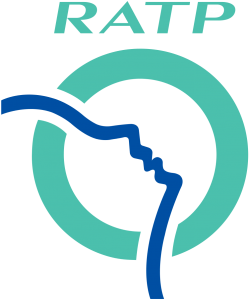 The RATP is the source of information for all public transportation in Paris. 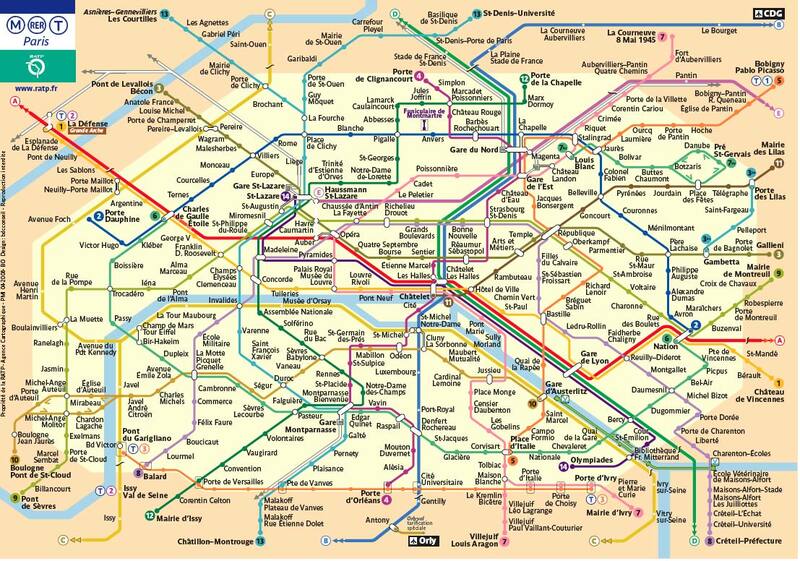 Check out their interactive map where you can view all the Paris transportation maps and routes (metro, tramway, RER, bus, night bus) and find the best routes to and from any two points. You can search routes in real time by entering your starting point and final destination on their Plan Your Journey page. You can also download two of the RATP’s mobile apps: Next Stop Paris and RATP to help you map out your route on the go. 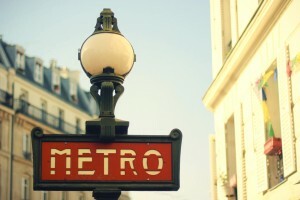 Easily the most iconic form of transportation in Paris, the metro is an interconnected underground network linking the city. At first glance, the system of 14 subway lines can seem extremely complex to those new to Paris. However, it’s actually not as bad as it seems. The lines are all color-coded with a corresponding number. You can locate the numbers by looking at the end of the line (the part the farthest from the center of Paris). Once you have located the number, you will need to determine which direction you need to take. Once again, you can find this information by looking at the end of the line the farthest from Paris center. The direction will be the name right next to the number and is the furthest metro stop in either direction. For example, if you locate the metro station Châtelet towards the center of the metro map and follow the dark purple line south, you will see the metro line 14 and the name “Bibliothèque François Mitterand.” So, if you want to go anywhere south of Châtelet on metro line 14, you will take the metro towards Bibliothèque François Mitterand (the final stop on this line in this direction). Keep in mind that only the RATP-issued maps are accurately color-coded, so be sure to look for the official RATP versions. The metro closes at 12:30 pm weekday nights and at 1:30pm on weekend nights. It starts again at 5am. The RER system is similar to the metro, but is faster and extends past the Paris city limits. This is the transportation system you will take to get to locations outside of Paris like Versailles and Disneyland. The 5 main RER lines: RER A (red), RER B (blue), RER C (yellow), RER D (green), RER E (pink) can be found on the metro map (the four thicker lines on the map). As with the metro, the names and directions of these lines can be found at the ends of each line. However, as the trains extend past Paris, the metro map may not show all stops in between Paris and the last stop on the line. With the RER, you really have to pay attention, as the ticket prices depend on which zones you are traveling to. These fast trains cover 5 zones as shown on the metro/RER map and tickets typically cover only 1 or 2 zones (whereas the passes cover all five zones) so if you venture outside of your covered zones, you will have to pay extra to get back into the city. The tramway system is a means of transportation in Paris that tourists don’t typically think about. Unlike the metro or RER, the tramway is completely above-ground, offering spectacular views of some of Paris’s many bustling streets. 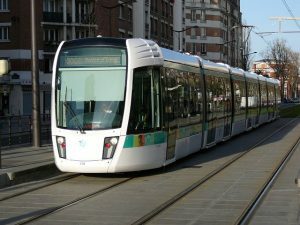 Typically located along the outer border of Paris, the tramway features 9 lines that service several important entry points (known as ports) into the city. The bus system in Paris is a bit more complex than the metro or RER. Bus stops are typically located around metro stations and each have a specific number and color. Figuring out which bus goes where can be kind of tricky, especially since the bus numbers are 2- and 3-digits long. However, maps and routes are located at each of the stops, so you will be able to determine if the bus is heading in the right direction. You’ll get to see more of the city, as the buses travel along Paris’s many beautiful streets. A large screen displays upcoming stops so you’ll always be able to get off at the right stop. Before your stop, be sure to press one of the red buttons located next to your seat. This will signal an “arret demande” (stop requested) so that the bus driver knows to let you off at your stop. If you find yourself in Paris after the metro has stopped running, no need to panic! The Noctilien, or night bus, is a form of transportation in Paris operating between the hours of 12:30am and 5:30am. This bus line is not the best option if you are trying to get home during these hours. We recommend taking a taxi or Uber. While Paris is home to numerous public transportation options, taking a taxi is still a popular choice. You can locate a taxi at one of the numerous taxi stations located all over Paris (click here for a map – in French only) operated by Paris Taxi. You can download the Paris Taxi app to see which taxis are available nearest you. Through the app, you’ll be able to specify number of passengers and bags to help facilitate your experience. There are two versions available: Paris Taxi (Apple Store) or Paris Taxi (Google Play). Worried about the language barrier with your taxi driver? You may want to check out Taxi G7. They offer English-speaking taxi drivers and accept credit card payments, which most Parisian taxis don’t accept. You can download their app Taxi G7 (Apple) or Taxi G7 (Google Play) and can check out their fares here. The French taxi system is highly regulated, so, as long as you’re taking a legitimate taxi, this form of transportation is very safe. If you ever have any problems, be sure to ask the taxi driver for their ticket which they are required to provide you with. This document has the contact information of both the taxi company and the driver, allowing you to report any sketchy activity. On a more positive note, you can ask for a ticket if you had an enjoyable transportation experience and want to request the driver for your next ride. *Important* When taking a taxi from the airport (CDG or Orly) make sure to get in line for the legitimate taxis OR to book your airport transfer in advance (this will help you skip the line). Otherwise the people who try and get you to take their “taxi” might charge you much more than normal. Don’t fall into this trap. Which Paris visit card to use? Be organized in your trip! Having a Paris visit card can help your program and gives a chance to save lot of money. Visit all of the wonderful Paris beauties without losing time and/or wasting money. Here are 4 suggested options, based on your personal features and needs. Paris is full of lesser known museums and if you are a museum lover and you don’t want to lose time of your stay you should try this perfect solution. With free entry and without queuing you can enjoy monuments and museums’ permanent collections with unlimited number of visits. 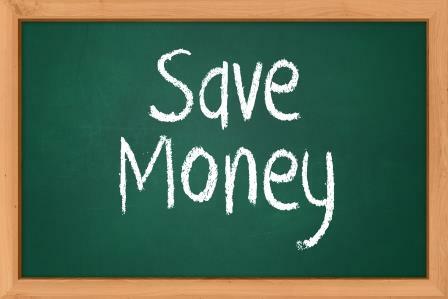 Further you can choose from a card of 2 (48 €), 4 (62 €), or 6 (74€) consecutive days in order to plan your stay and progressively save money with an option of more days. The Paris visit pass is a transportation pass that will give you the possibility to visit Paris from north to south and from west to east discovering all the Paris unique corners. This card is valid for 1, 2, 3 or 5 consecutive days and allows you to travel on all the transports (metro lines, buses…). This will provide you with some advantageous museums discounts which with the unlimited transportation will be really profitable as Paris visit card. 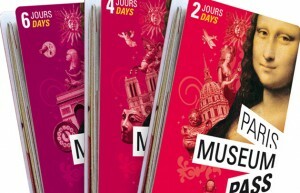 It is a Paris visit card made up of 3 passes (Paris Museum pass, Paris Attractions pass, Paris Visite Travelcard).You will admire the 60 world-class museums, art galleries and monuments in Paris without being afraid of missing any details because you can visit them as many times as you want. Not satisfied with museums and monuments only? You have the chance to become visit 8 Paris attractions paying less money than if you would have visited just one or two (details about what is inclueded on the web-site below). Furthermore you will move free and easily across Paris with access to all Paris transports networks. The Tailor-Made ParisByM Package is more than a Paris visit card, it is an alternative option fully adapted to your requirements. Get in touch with a professional travel agency to design and plan your trip. This solution will help you discover the city at your own pace since ParisByM will help you get the tickets for only the museums and monuments you are interested in and for the dates you need to visit them. Therefore, you will not spend more money than needed on activities you will not have time to do, and with this package you will have a program fitting the exact time you have in and around Paris.